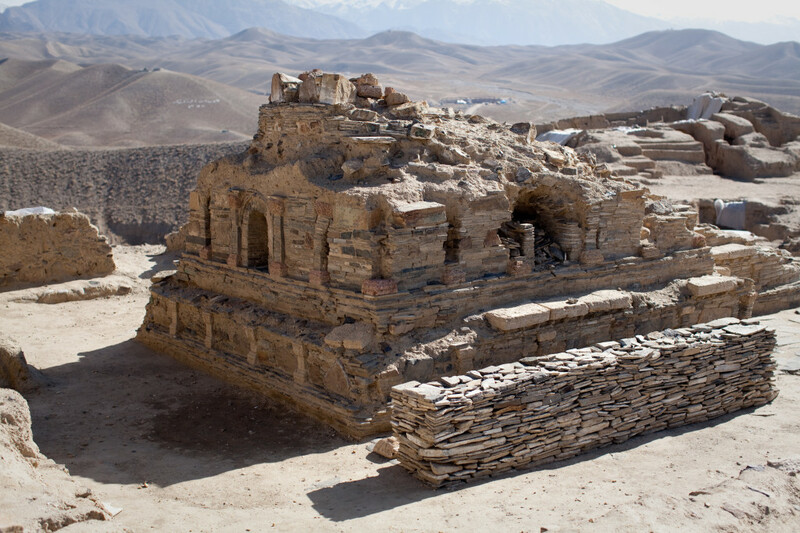 For the second time in recent history, a tragedy is set to befall an ancient Afghan Buddhist monument. The world was shaken when, in 2001, the callous and zealous Taliban destroyed the famous Buddhas of Bamiyan. The Taliban government declared them to be idols and ordered them dynamited. The shocking images sent the world reeling. Intolerance had won out, the world was a lesser place. Fast forward to today and another battle over the fate of a crucial site is being fought. This time, the Taliban are not the main villains. This time, the fight is against a foreign invader that has been welcomed by the government of Afghanistan. 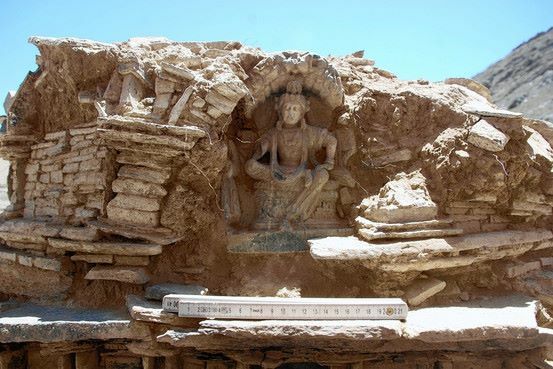 This time, it is not religious radicalism, but unbridled profiteering that motivates the immediate and impending destruction of one of the most important sites in the early Buddhist world; Mes Aynak. 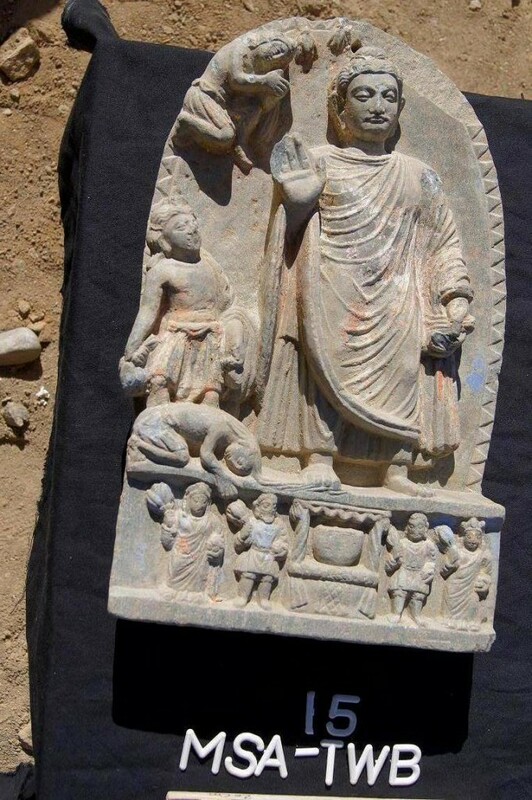 Mes Aynak is a Gandharan Buddhist monastic complex that saw its golden years between the 5th and 7th centuries AD. 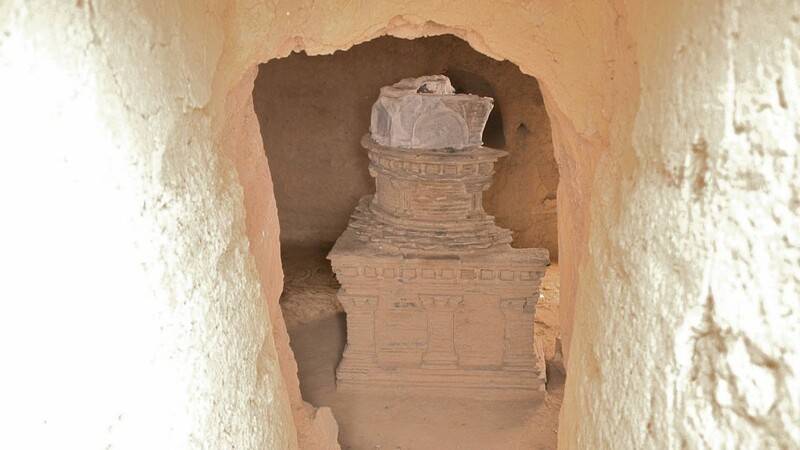 The site is a treasure trove of historical information and has yielded hundreds of statues, relics and stupas. Archaeologists have also begun to unearth a 5000 year old Bronze Age site under the Buddhist remains. 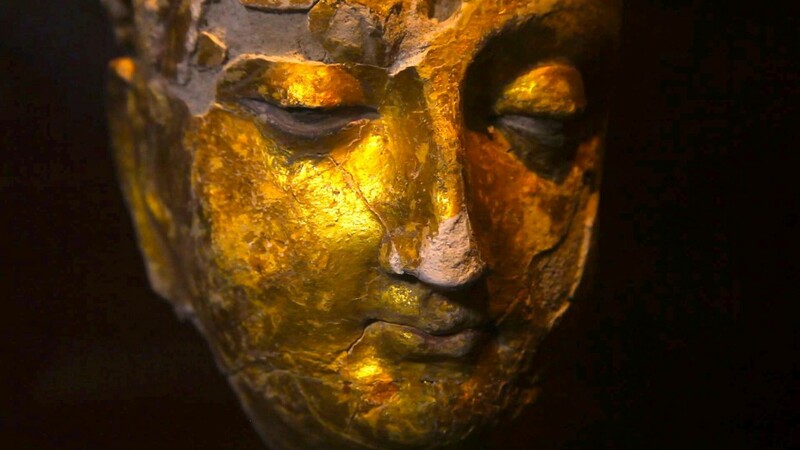 The location of Mes Aynak is unfortunate, but is also the reason for its existence. The name literally means ‘little source of copper’. This is an understatement and what actually lies below the ancient structures is the second largest copper deposit in the world. While this was the source of the success of the site’s early growth, it is now the cause of its woes. In 2007, the Afghan government signed a three billion dollar 30 year lease deal with the China Metallurgical Group Corporation (MCC) for the exploitation rights to the mine. The MCC plans to destroy the entire site and some local villages to create an open pit mine. The entire mountain range will be dug out and the resulting crater filled with toxic waste, making the whole area uninhabitable. 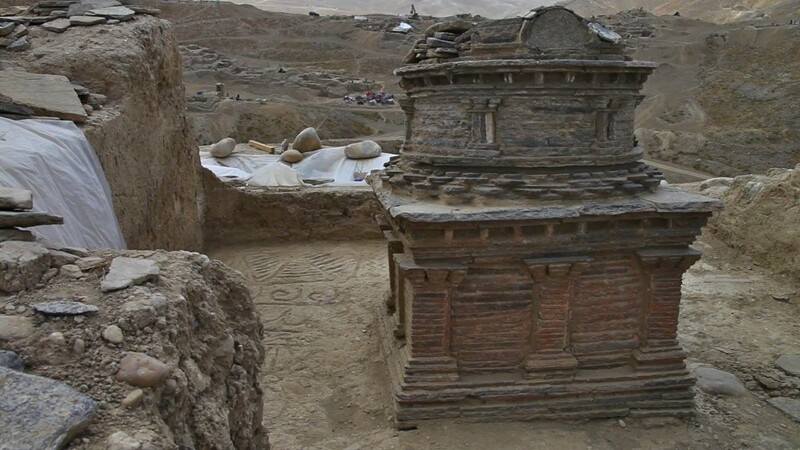 The Chinese state-owned corporation has had to push back the day that it will utterly obliterate Mes Aynak. This is partly due to mounting international opposition, but also because of Taliban attacks on the mining operation. Sometimes the world can seem like a very cruel place. Unforgiving. Afghanistan is a country that has had more than its fair share of turmoil and tragedy. There is, however, a ray of sunshine behind the clouds. A glimmer of hope. There are some heroes who are championing the cause. People like Philippe Marquis and his team at Délégation Archéologique Française en Afghanistan (DAFA). 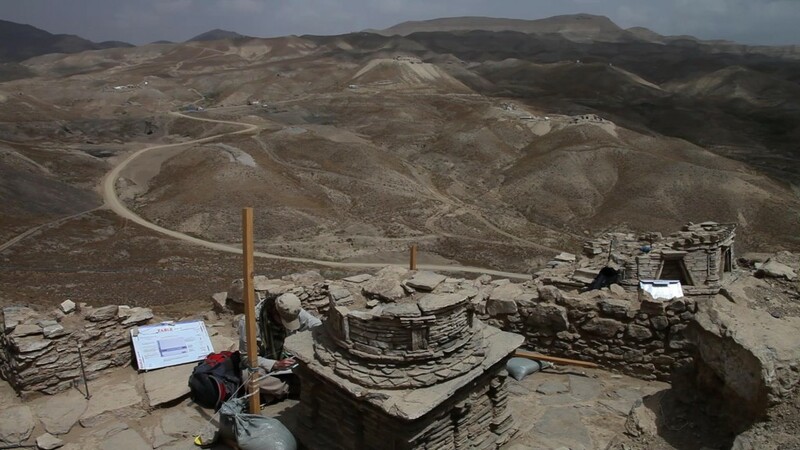 He and Afghan archaeologists, such as Abdul Qadeer Temore from the Afghan National Institute of Archaeology, brave daily attacks by Taliban insurgents in order to make use of the limited time they have been given to excavate the site and save what the can. The attacks have caused the abandonment of the site by Chinese miners and archaeologists, save a tenacious few. A team of international archaeologists from around the world and hundreds of local labourers, with funding from the US Embassy in Kabul have made this one of the largest rescue digs on the planet. Under constant threat of attack, the valiant team are striving to save as much as possible, before the MCC finally do what the Taliban did to Bamiyan more than a decade ago. The Taliban attacks have actually caused the mining project to be delayed and have even made the MCC reconsider its deal. The latest official update is that the company may wish to delay the start of operations until 2019, giving the archaeologists some breathing room. The MCC also wish to renege on some promises made in the contract, including the cutting of the profit percentage going to the Afghan government. There are ongoing negotiations between the two parties. Perhaps, with increased pressure and a more vocal world community, the impossible could be realised; the mining could be called off entirely. 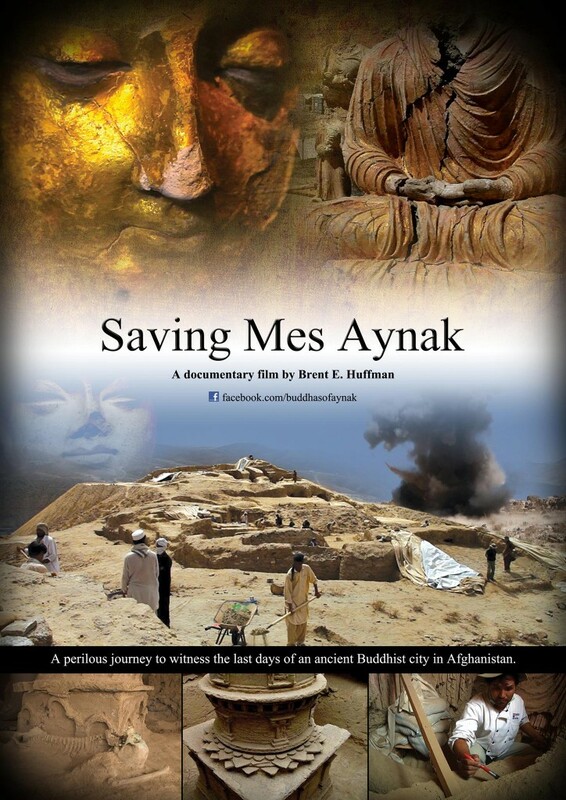 Another huge figure in the battle to save Mes Aynak is award-winning American film-maker Brent Huffman. Huffman has been making a landmark documentary about the site and the fight to excavate it before time runs out. His definitive documentary, Saving Mes Aynak, is in production and recently received a MacArthur Foundation Grant. Huffman has been at the frontline of the issue and his documentary has gathered support for the cause. He has been screening a trailer of his documentary around the world and slowly, more and more people are becoming aware of Mes Aynak’s plight. The Facebook page for the documentary has become a news bulletin and forum for people who are gathering around the flag he has raised. The much anticipated Saving Mes Aynak is due to be finished this summer. Mes Aynak is one of the most important historical sites on the planet. To see it destroyed would be like watching Stonehenge or the Pyramids being levelled. This site is only just now beginning to reveal its secrets. Archaeologists have said that, conservatively, only about 10% of the site has been explored. It was a crucial stop on the road of Buddhism’s Silk Road transmission to China. It was a cultural crossroads. Not only are there monasteries, but also a Zoroastrian Fire Temple, forts, a citadel and various industrial ruins occupy the site. 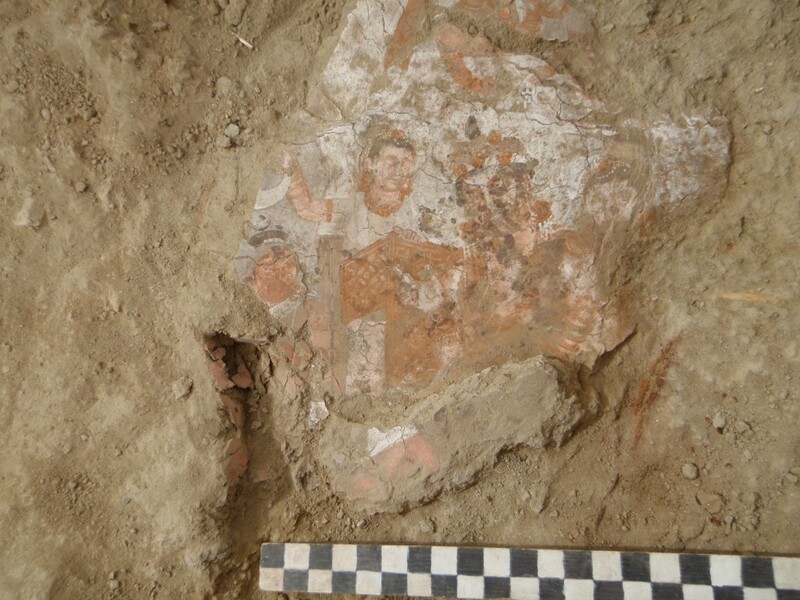 Mes Aynak can give us a window into life and cross-cultural dialogue during an important time in Asian history. Evidence of a monastic cult worshipping Siddhārtha Gautama as he was before his enlightenment as the Buddha has emerged. More antiquities than were housed in the National Museum of Afghanistan before the war have been pulled from the site. 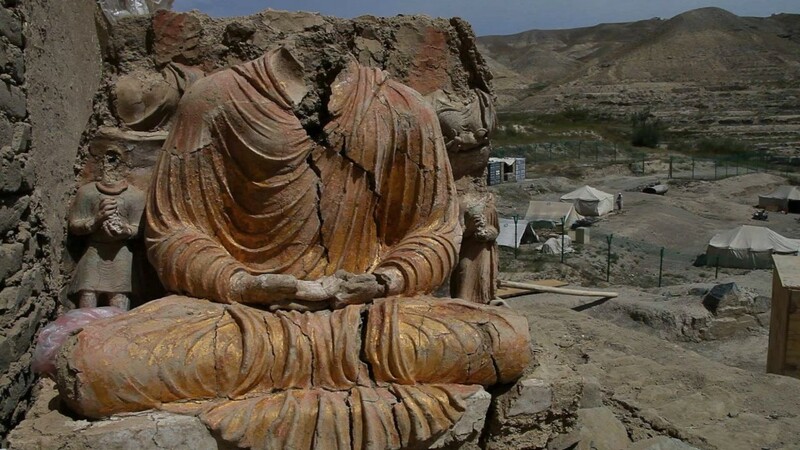 To allow a company to destroy everything that is yet to be unearthed at Mes Aynak would be desolating. The financial gains provided by the site are large, but very short-term. Jobs generated would soon disappear in the grand scheme of things. From the point of view of a developing country, an injection of funding and infrastructure are very appealing, but the long-term losses are unthinkable. The site is not only part of Afghan heritage, but also part of China’s. It is ironic that the MCC wish to destroy a site was a huge part of the transmission of Buddhism to China. Sad, that they have no concern for their own heritage, for it surely has some roots at Mes Aynak. The wounds of Bamiyan are still raw. The loss of the fabulous statues a devastating blow. The worst thing that could happen would be that we did not learn from it. To allow the MCC to repeat the crime would be a show of apathy. Solidarity is needed. The world needs to stand up against the unfeeling, greedy and unrelenting tide of mineral exploitation and draw a line in the dirt. No more, no further. Let’s make this the year that humanity won over greed. For future generations and the sake of world heritage, let’s strike a blow for cultural unity and save Mes Aynak. Special thanks to Brent Huffman for allowing the use of his photographs and copyrighted material. I was born in Kabul, Afghanistan and grew up in New York. i think ancient cultures such as Egyptian, Persians, Indians, and chinese were far advanced than we are today. The ancient knowledge of our ancestors were mostly forgotten and some destroyed by greed and power. I hope humanity can learn from it’s past mistakes and not repeat this vicious cycle. It is to the benefit of mankind to preserve it’s history for the next generation otherwise our existence will become meaningless. Afghanistan is the crossroad of civilization and if Karzai government were wise they enough they should build upon this legacy. I can imagine Afghanistan becoming a wealthy and prosperous country by promoting it’s cultural heritage and how rich it is that is astounding. In my heart i believe that Mes Aynak will be saved and that we will learn something about our human civilization and not be ignorant enough to destroy it. Thank you for your comment. I hope that you are right and that sense will prevail. I am also positive that Mes Aynak can be saved, but it will need hard work from people who care in order to realise that goal. I agree totally with you. Preserving this historic site is a must, for everybody who values culture over money- those who believe sites like Mes Aynak belongs to the humanity and not only to the people of Afghanistan. But, in the trailer of the documentary film, it says: “In the heart of the Taliban country…”. How does one call it Taliban Country? By this, Taliban country, does it mean Logar Province or Afghanistan? How the Taliban, an insurgent, fanatic extremist proxy force should be declared the owner of a country that belongs to a mosaic of social and ethnic population that Taliban can’t make even only a 0.01 % of it? I am Afghan women born in Kabul and was in Lghar province where Mes Aynak is located in seventies when the Copper mine was discovered. We need the whole world support. Pleeeeeeease help us. This is your heritage not only Afghans heritage. Con grande interesse abbiamo scoperto l’esistenza di un altro sito archeologico in un paese martoriato dalle guerre e dalle diatribe religiose. Un plauso particolare agli archeologi che si battono per la scoperta e la conservazione di tali siti e ci auguriamo che la cultura abbia il sopravvento sulla bramosia di sfruttare la natura.